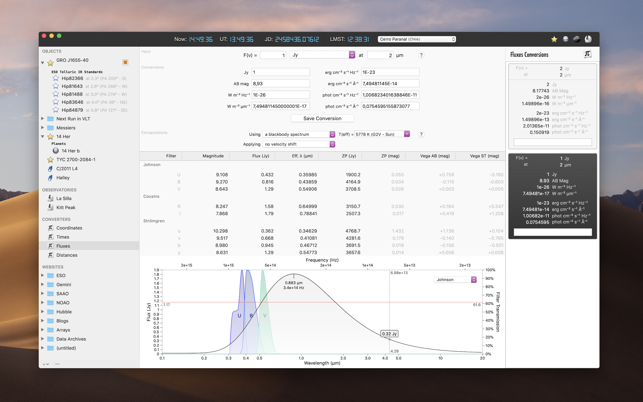 iObserve pushes your preparation of astronomical observations to a much higher level. It gathers all the information you need when observing the sky with small and big telescopes, and let you manipulate your nights and targets. It has been built from the ground up by a former ESO support astronomer in Chile. 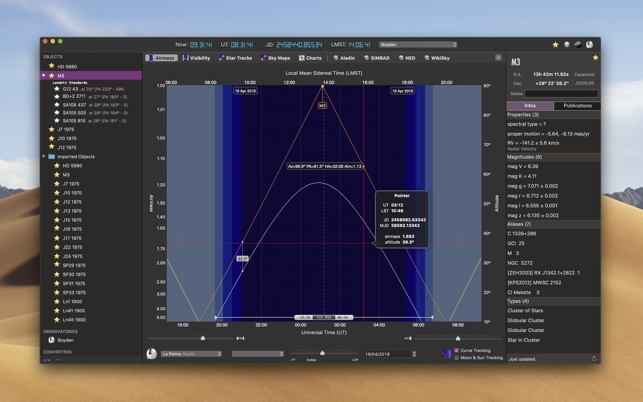 • "Must have for serious astronomers" (5 stars) "Every observer with a mac should have this app, and observers without a mac should buy a mac so they can use this app. It has proven invaluable on multiple observing runs both in the planning phase an while observing." (a happy US user). 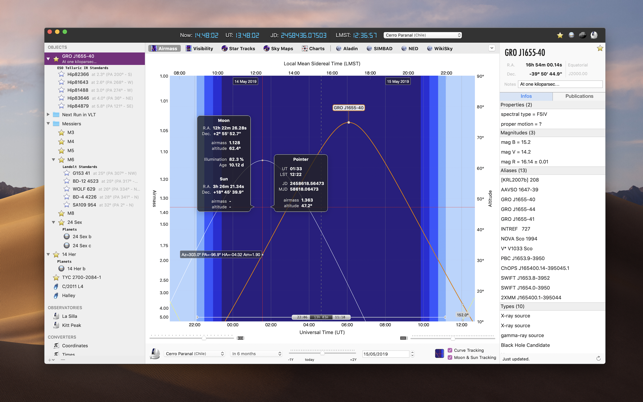 • "A must have app for all serious astronomers" (5 stars) "This little application has now matured very nicely from its origins a few years ago. (...) It will appeal to serious astrophotographers, deep sky enthusiasts and – of course – professionnal astronomers. Yes, you can find the same information if you scout around the web, but iObserve puts it all in once place, and a lot more besides. I couldn't work without it. And the developer, Cédric, provides outstanding support." (a nice follower from Australia). 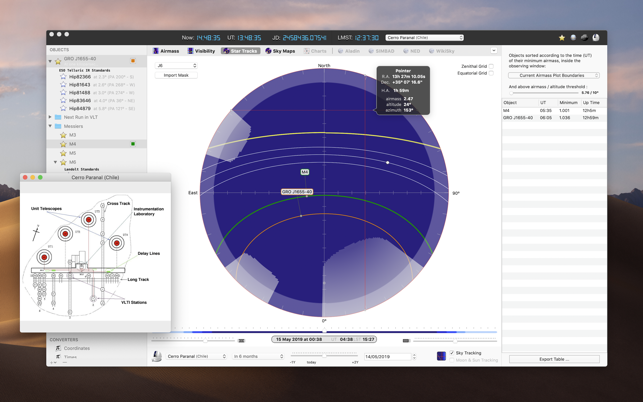 • Easily import any known in SIMBAD or not-yet known object, browse the Exoplanets catalogue or download the latest JPL ephemeris of any known comet and asteroid. All object parameters, properties and references will automatically be kept up-to-date. • Convert small and large distances, and, like all other conversions, save it for future reference. 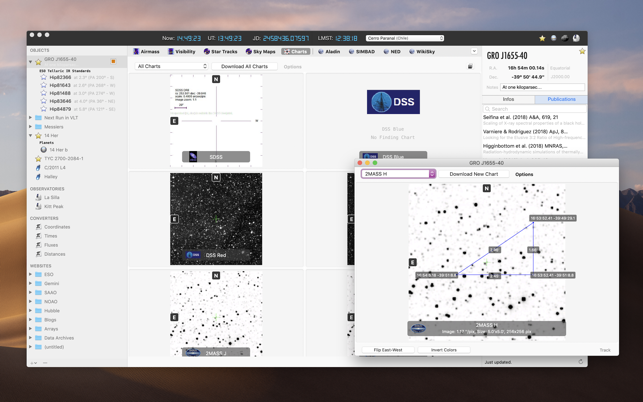 Moreover, iObserve lets you create new observatories – being a remote location, a professional observatory or simply your backyard. You will then be able to use it like any other builtin observatory. iObserve also provides its famous times bar with Local Time, UT, Julian Date and the Sidereal Time for all its observatories. • Fixed the export of objects (both as list and as bundle). • Fixed the import of exported objects: the last object of the bundle is now imported too! Je conseille cette application à tous les astronomes amateurs ! Elle vous aidera à déterminer le bon moment pour observer un objet céleste. Pratique, ergonomique, c'est un outil d'une grande qualité. L'application ne gère pas (encore) les comètes et les astéroïdes, j'enlève donc une seule petite étoile.